Cobol-it > IBM COBOL > CNAF (Caisse Nationale des Allocations Familiales) migrates six IBM Mainframe batch applications to COBOL-IT on Red Hat Linux. CNAF (Caisse Nationale des Allocations Familiales) migrates six IBM Mainframe batch applications to COBOL-IT on Red Hat Linux. CNAF moved a part of their Social Security (Family Assistance) batch applications from the IBM Mainframe to COBOL-IT, preserving full functionality at a fraction of the original cost and a fraction of the cost of competitive options. 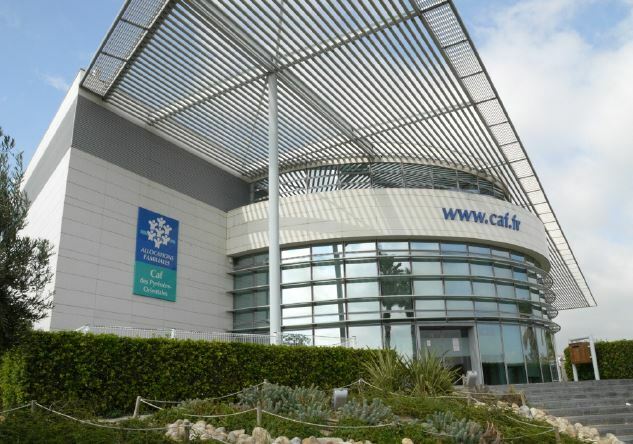 Located in Paris, France, the CNAF has annual revenues of over 80 billion euros per year, and over 36,000 employees. The CNAF is responsible for Family Allocations under the French Social Security program. For over 60 years, Family Allocations have provided a safety net for families throughout their lives. More than 100 local offices are located throughout the entire country and all French territories. Services extend to family member of all ages, from infancy through old age, with benefits for pre-school, education, benefits for poor, unemployed, disabled and elderly. The CNAF serves over 11 million beneficiaries, who collectively were provided with more than 50 billion euros in 2010. The CNAF Exchange with Partners software application consisted of 6 IBM COBOL Mainframe applications, using VSAM and DB2 for z/OS. The applications provided batch programming, designed for data exchange with partners. Developed in the 1980’s, the Exchange with Partners software application was maintained by a team of COBOL programmers using ISPF, IBM COBOL, JCL and Control M. Since its creation, it has been continually enhanced to reflect legislative requirements. The Exchange with Partners Software application is designed to support CNAF’s partner benefit programs. In addition to the services provided to families, the CNAF subsidizes partners (communes, associations and, more recently, companies) that develop equipment for children, young people and families. There are partners in all French Departments and Territories. Partner benefits are awarded at the local level, with input from local offices. The CNAF Exchange with Partners Software Application consists of 350 COBOL programs, and a total of over 250,000 lines of code. 250 JCL had to be converted, as did the data from 5 DB2 databases. With 350 batch programs, performance was of critical importance. CNAF reported equal or better performance for all of their batch programs when running on the new platform. The decision to leave the mainframe began when cost reductions were mandated, and plans to eventually decommission the IBM Mainframe were announced. With over 10 million beneficiaries, the main objective was continuation of business as usual. It was a requirement that the re-hosting provide 100% of the functionality of the original application, in addition to meeting cost saving goals as mandated. There was a limited time window in which to complete the migration after the planned decommissioning of the Mainframe was announced. The CNAF began evaluating options for their platform and considered Micro Focus Visual COBOL. COBOL-IT was selected as they provided the required compatibility and performance at a fraction of the cost. COBOL-IT’s ability to guarantee price stability over a fixed period of time also appealed to the CNAF, who had aggressive cost saving objectives. The migration was completed in less than a year. The original team of COBOL programmers continue to maintain and enhance the applications using COBOL-IT Developer Studio. The CNAF was able to achieve equivalent functionality in the migrated solution, and no disruptions occurred during the change. The JCL scripts and Control-M language used for batch scheduling required re-writing in shell scripts. The migration required support for EBCDIC data, which was provided by the COBOL-IT solutions. The most complex problems arose from the incompatibilities that were identified between the DB2 z/OS pre-processor and the COBOL DB2 LUW pre-processor. COBOL-IT and ATOS were extremely responsive and effective in resolving difficulties in partnership with IBM. High performance Take advantage of optimizations provided by COBOL-IT Customer assured of operating within existing batch windows. No code changes Compatibility 100% preservation of functionality. Change is transparent to developers. Urgent time frame Technical assessment With potential risks identified before beginning, Customers know they can finish in the required time frame.